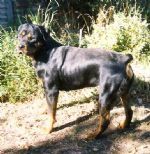 Tyson came to me with the help of my very good friend Fay Monaghan, bred by Gail Peters (was Terry) I had choice of pick male from the litter. 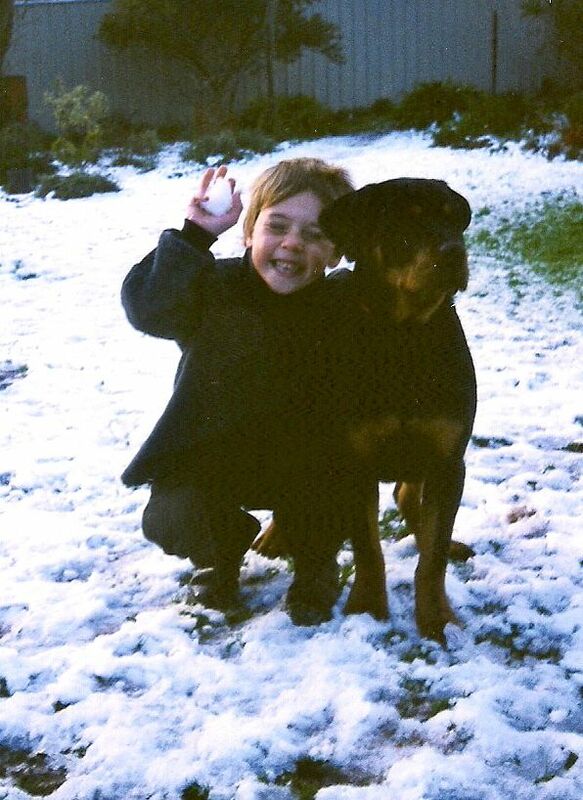 As a puppy he was very compact with tons of drive, this boy would strut in 30 plus degree heat and never showed signs of slowing down. 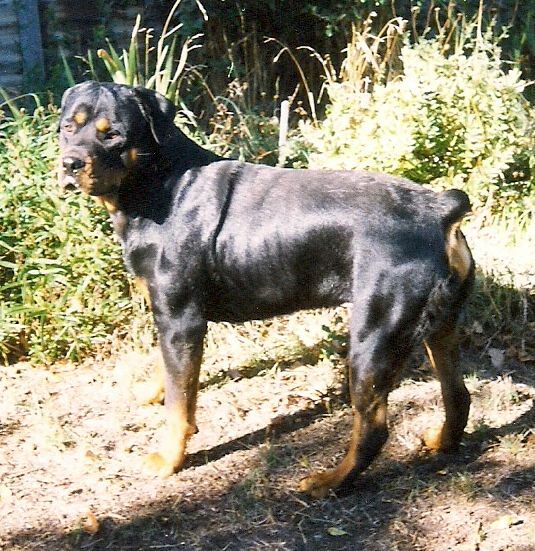 Tyson would have to be the most beautiful moving dog that I have ever owned. 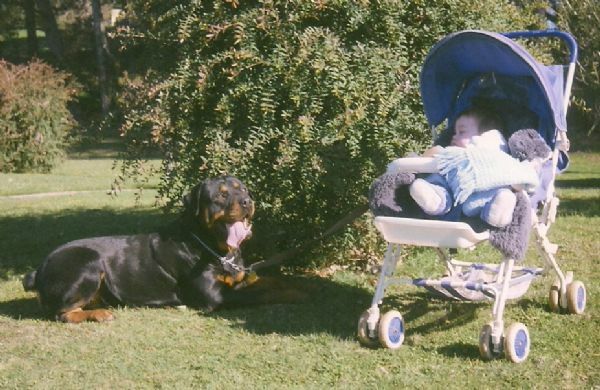 Tyson started his show career at 3 months old where he was awarded Best Baby Puppy in Group 6 under Mr D Watkins. Tyson never looked back winning Reserve CC & Best Minor Puppy in Group 6 under Mr L Greenall, next he was under Mrs M Martin who awarded him Best Of Breed, Best Minor in Group 6 & Runner Up Best Exhibit in Group 6. Then under Mrs A Skerry Tyson took Best Of Breed, Best Intermediate in Group 6 and Best Exhibit in Group 6. 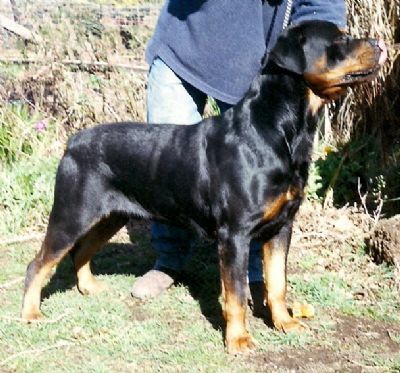 Next he ventured down to the Melbourne Showgrounds under Mrs D Cozart where he won the Open class and then went Reserve CC to what was to become Australia's biggest winning Rottweiler in the history of the breed "Blickscharf Ashke" . Next stop for Tyson was The Utility Dog Club under Dr Roberta Veale (SA) where he went Rerserve Challenge Dog to Ashke again. Our next stop was under Mrs J Gard where Tyson was again awarded Best Of Breed and Runner Up Best Exhibit in Group 6. Tysons last show was under Mr Ian Luke where Tyson was again awarded Best of Breed and Best Open In Group 6. Due to my working full time with Racehorses I had no time for Dog Shows. Tyson lived his life as a much loved family pet. He came on holidays, he went to the beach as he loved swimming. At our Dog Obedience Christmas Break-Up Trial "Tyson" got Highest Score in Trial with a score of 98 out of a possible 100. Beauty with Brains, he was the complete package. 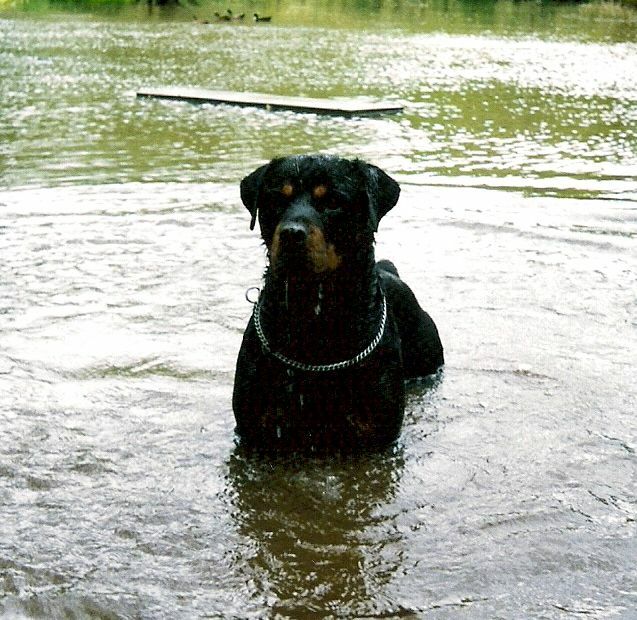 Tyson was my foundation dog for "Darkcide" Rottweilers & I couldn't of asked for a better start to my kennel. When I am gone, release me, let me go, I have so many things to see and do. You must not tie yourself to me with tears, be happy that we had so many years. I gave you my love, you can only guess, how much you gave me in happiness. I thank you for the love you each have shown. But now it is time I travelled alone. So grieve a while for me if grieve you must, then let your grief be comforted by trust. It is only for a while that we must part, so bless the memories within your heart. I will not be far away for life goes on, so if you need me call and I will come. Though you cannot see or touch me I will be near, and if you listen with your heart you will hear. All my love around you soft and clear. 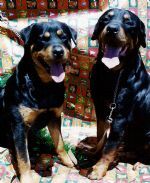 Then when you come this way alone, I will greet you with a smile and a "Welcome Home"
Tyson left this world 2 days after his 9th birthday after a 3 year battle with cancer, he closed his eyes and passed away with myself and Paris comforting him. 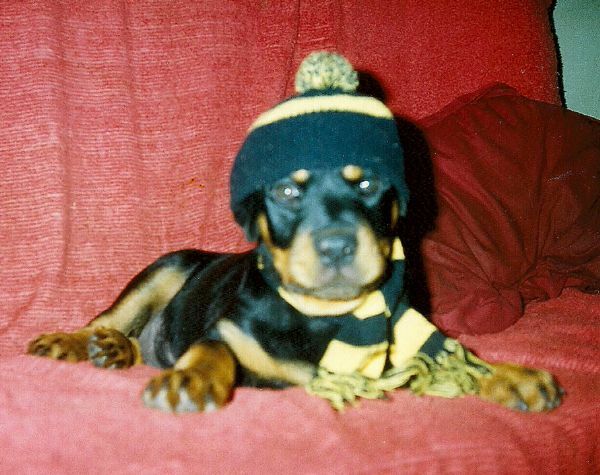 Tyson 8 weeks old, May 1998. 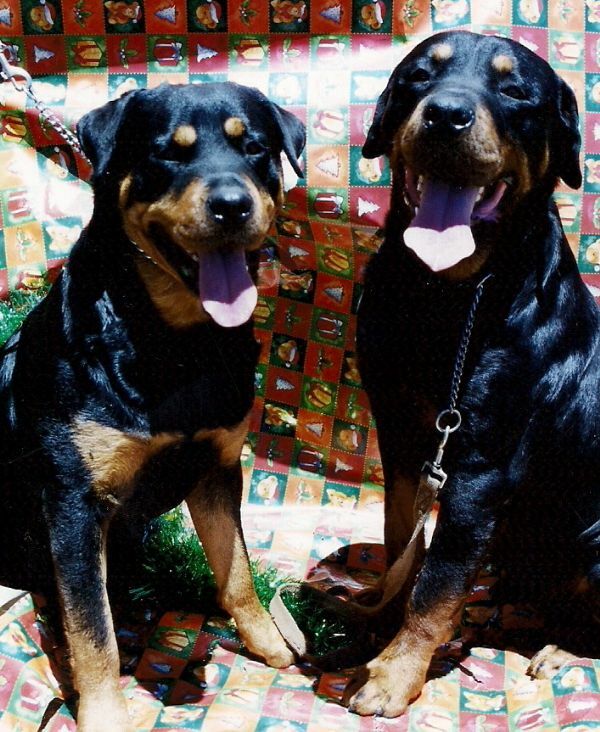 Kasey & Tyson, 5 months old. Aug 1998. Tyson 16 months old & Tyler.